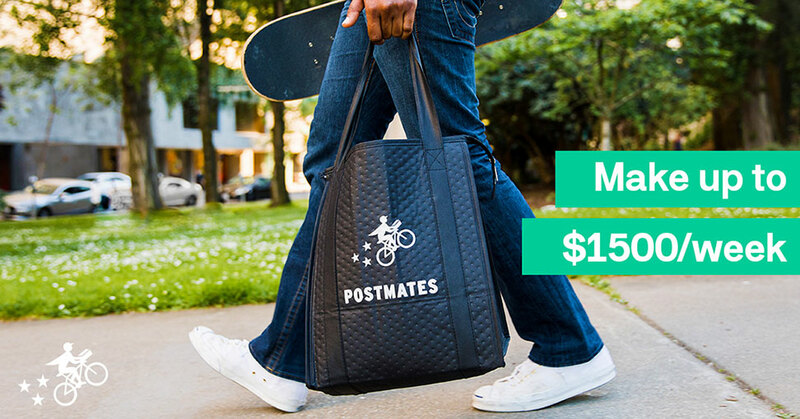 Now that you've signed up for Postmates, you've received your prepaid card and insulated bag and you passed the background check, you're officially a Postmates driver and you're part of the Postmates Fleet community. We talked a lot about the requirements to become Postmates and how to fill the form online. Now is the time to take the road and I want to reassure you that with some attention there will be nothing to worry about. The following is a beginner’s guide to help you start with your new job. It is an overview of what I have learned in my Postmates driver job and I'm happy to share it with you. First of all, let me remind you that Postmates is a delivery company based on a new technology platform that customers and drivers access through the App. The concept is simple. Postmates allows clients who use the Postmates App to choose from many restaurants or stores, request a delivery and track it. As a Postmates driver your main tool is the Postmates Fleet driver App. From now, you know that when we use the word 'Fleet' we refer to the Postmates drivers (ex. Postmates Fleet App = Postmates drivers App). If you have not yet downloaded the Postmates Fleet App, please have a look at our complete guide on Postmates Fleet App. Learn how to correcly install the Postmates Fleet App on iPhone and on Android. Offering a great service is key to maintain a high rating and to earn more thanks to the tips. We offer you a step by step analysis of the job of a Postmates driver. You Are Not Yet Online . Before you start, the first rule is 'Do not stress yourself', avoid frustration and prepare everything you need to make deliveries. If you use a bike, wear a helmet! You are Online! Now you're online. If you've read our guide on the Postmates Fleet App, you already know that one way to earn more money is to set the 'auto acept order'. Auto accept order is a powerful feature of the Postmates Fleet App that allows drivers to maximize earnings thanks to batching orders. Deliveries are added to your route automatically. At this point all you have to do is follow the directions of Postmates Fleet App and go to your first pick up. Keep trace of your miles! You can claim mileage on your tax return if you kept diligent track of your drives throughout the year. It's a good way to maximize your earnings. Take a look at our review of the best FREE App to track mileage. Keep your phone on you when you get out of your car. You may need it to confirm order details, contact the customer, or review delivery instructions. Introduce yourself to the staff of the store who can help ensure you have the right order. Be patient! If you have to spend time waiting, for the restaurant to prepare a meal. Remember to keep your cool. Verify that you’re picking up all the items of your order. If you have to delivery food, grab napkins and condiments. Check the Postmates Fleet App to see if there are other special instructions for the pick up. Before you take the route, make sure everything you are delivering is appropriately stored. No customer wants their burger to arrive pre-mixed with their coke. Ensure that nothing spills, leaks, breaks, or smooshes. You Are on the Way to Drop off Your Order to the Customer. Follow the instruction of Postmates Fleet App to drop off the order to the customer. Postmates Fleet App as an integrated GPS system (Google Maps) that will also help you to choose the best route. Do not forget to check on the App for delivery instructions. If you’re having trouble finding a spot, or any delays or problems... The Postmates Fleet App gives you the possibility to contact the customer, but please do it reasonable! Can Tip You. Tips are still not required, but most Postmates drivers will tell you that customers tip well. Can Rate You. Postmates drivers can be deactivated from the Postmates platform if they have a Customer Rating below their market's minimum requirement. Be friendly, polite and introduce yourself. At the end, confirm you delivered the order to the customer. It's important for you to know that at any time of the delivery process, if you have a problem with your order, you can contact Postmates Support through the Postmates Fleet App. This in not an emergency number, if you have an emergency, please call the 911!